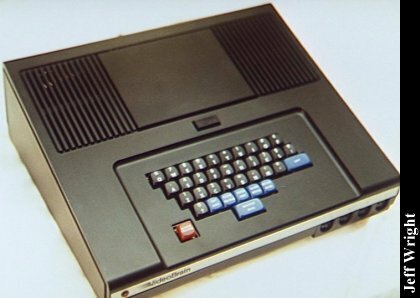 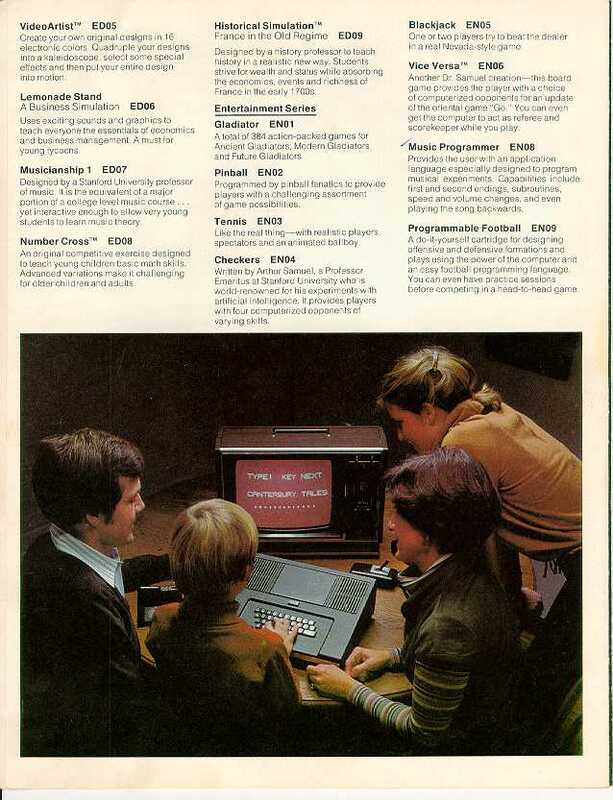 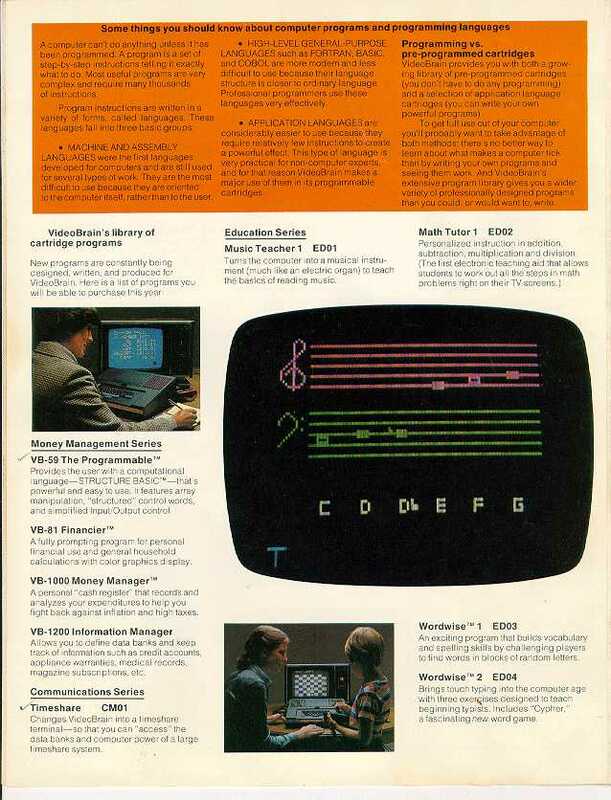 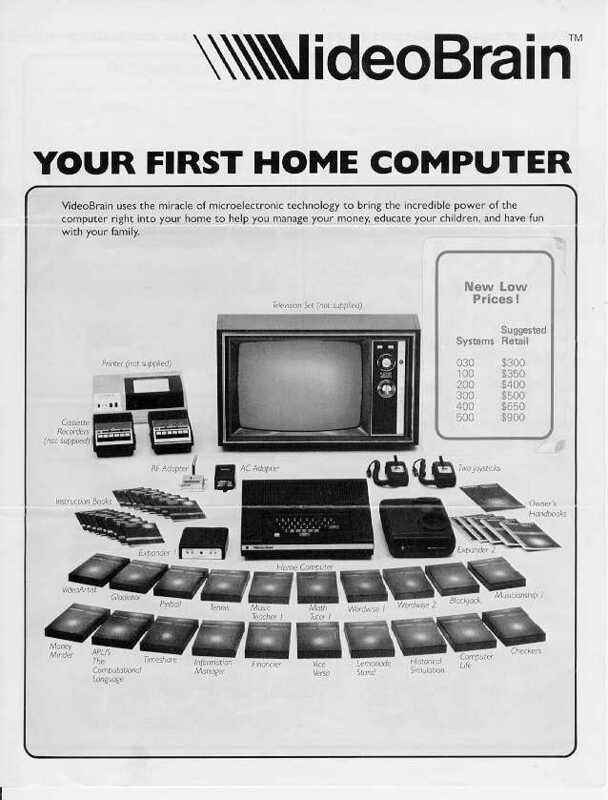 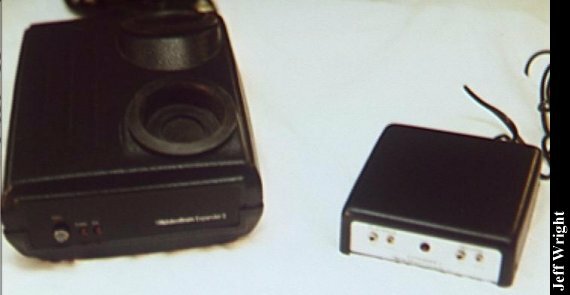 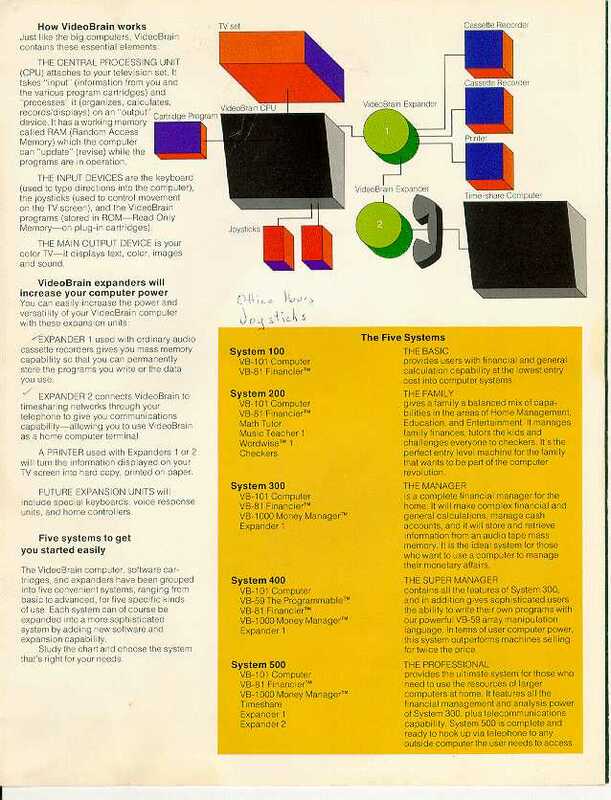 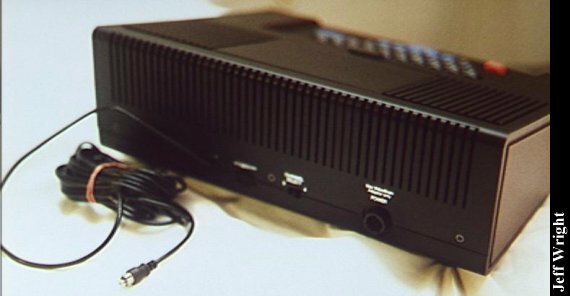 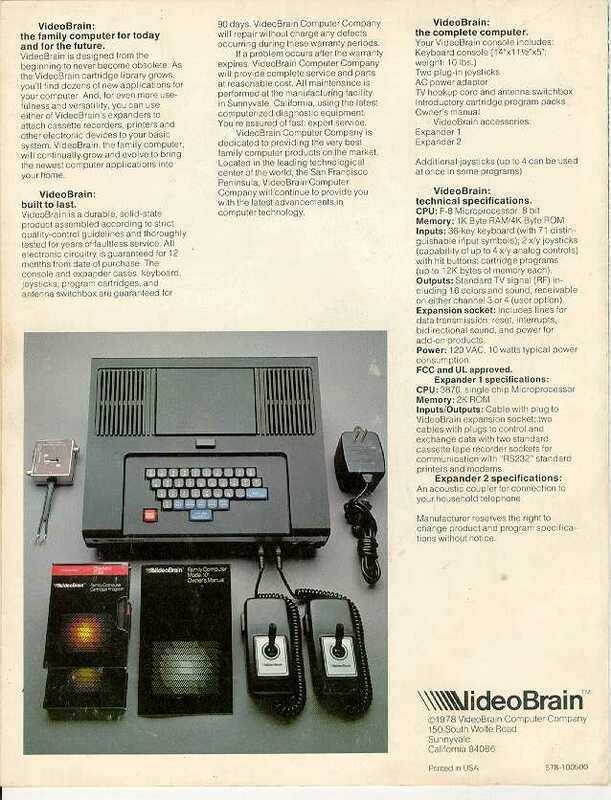 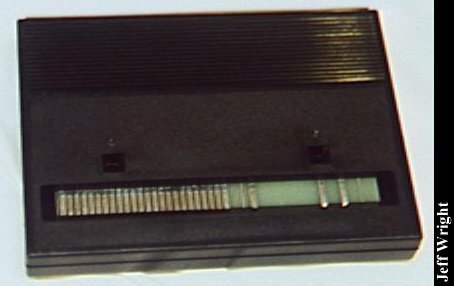 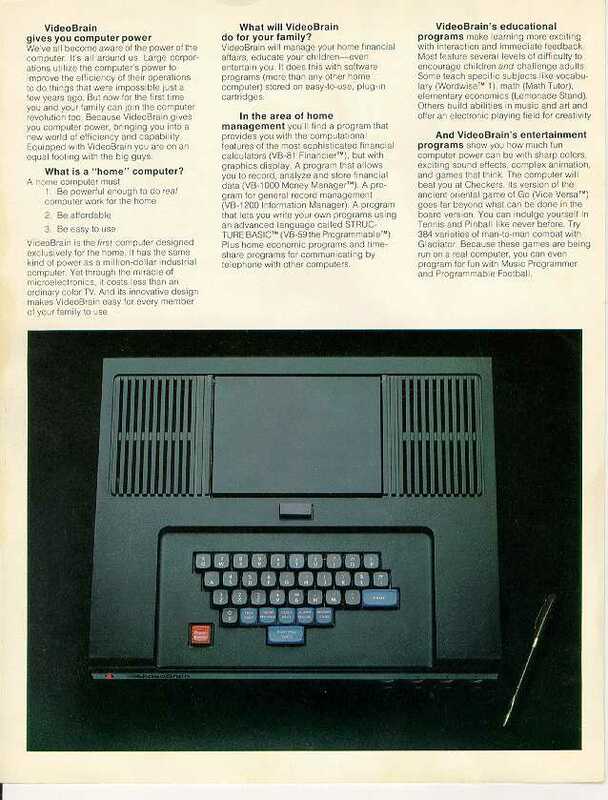 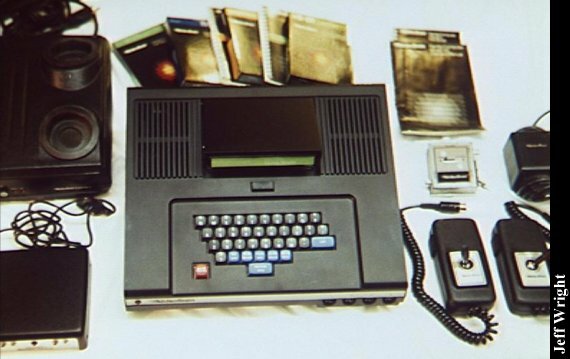 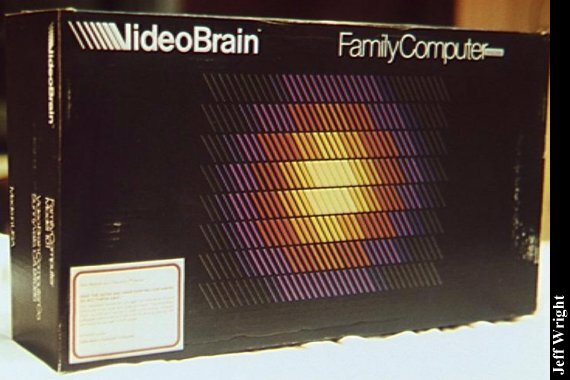 The VideoBrain was one of the earliest color graphics computers. 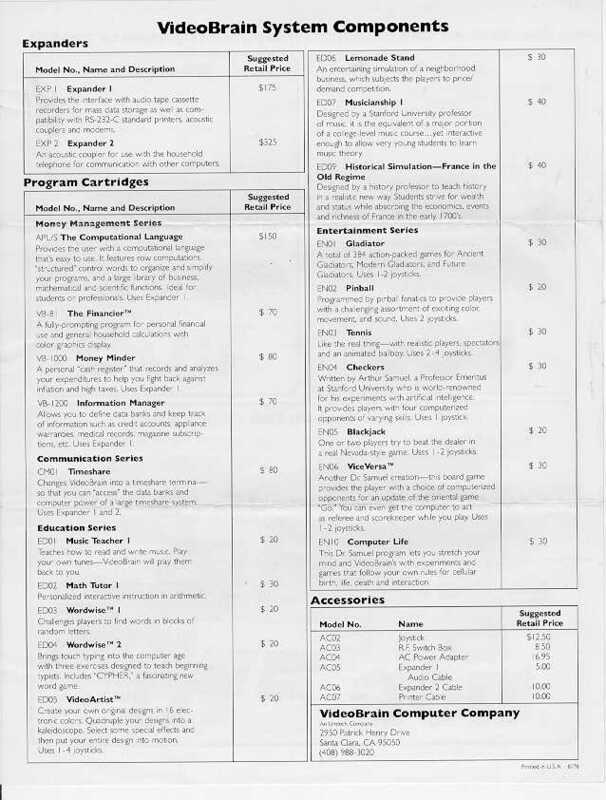 Jeff kindly supplied me with detailed brochures about it. 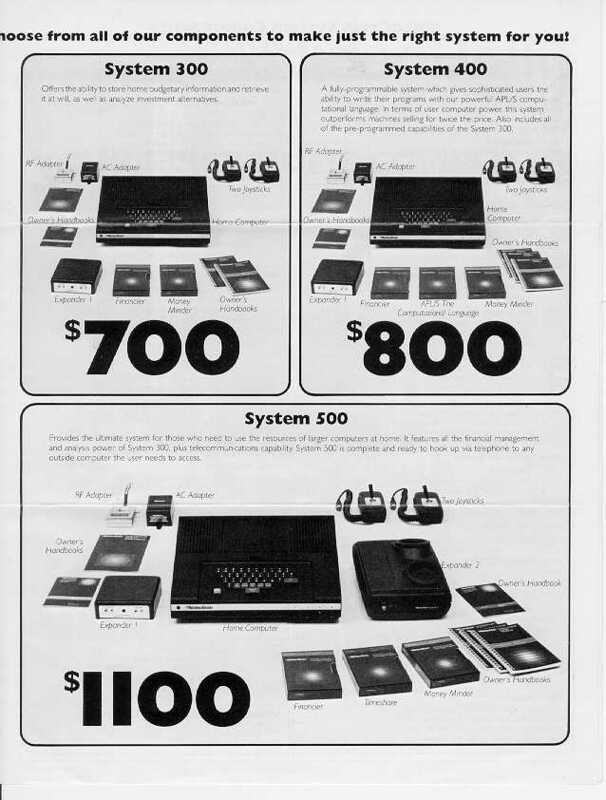 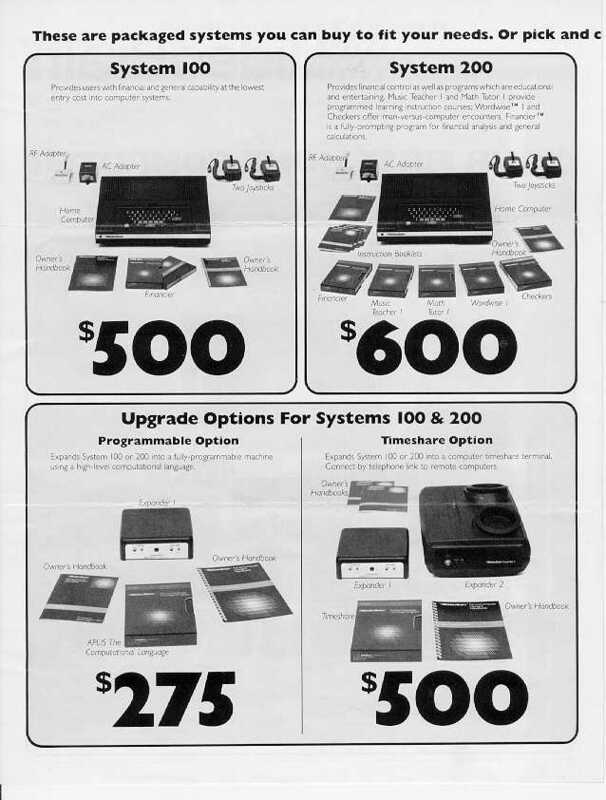 The following two brochures are scanned in at a pretty high resolution, high enough for you to be able to read the text. 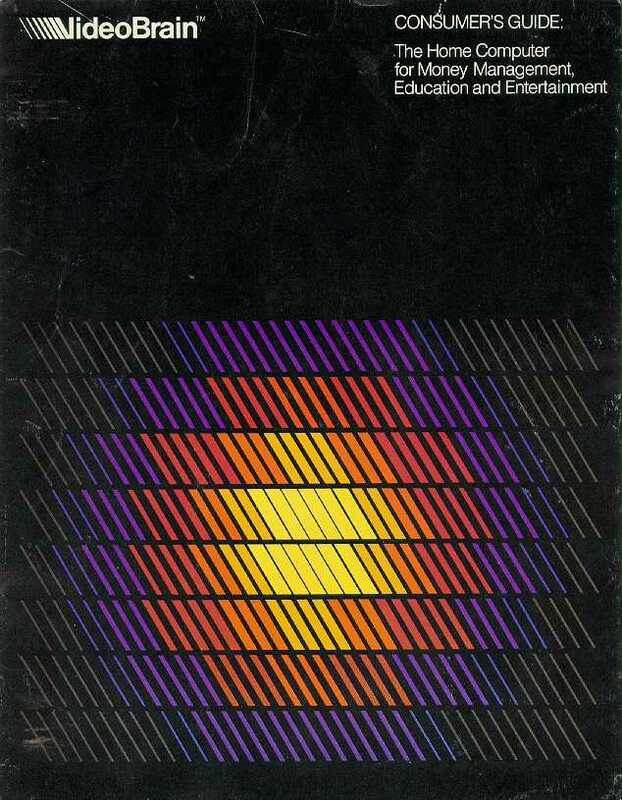 But be forewarned, each page is around 400k. 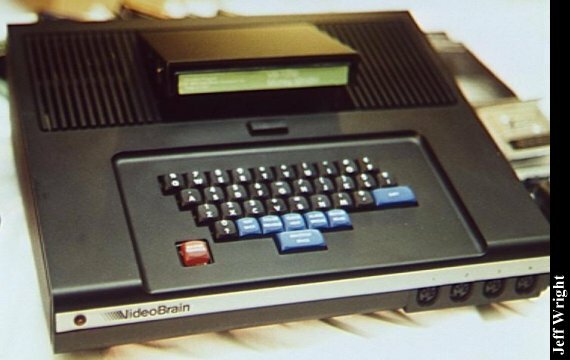 Click here to view all comments for the VideoBrain VideoBrain and to leave your own. 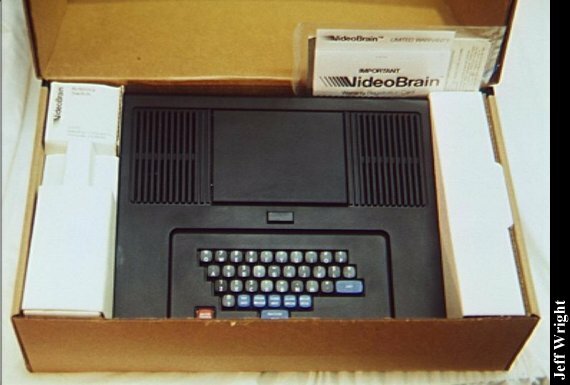 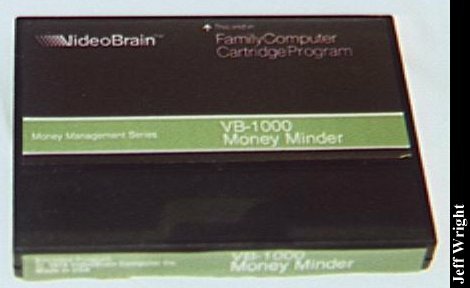 Click here to view comments about other VideoBrain computers.